Soccer fans are looking forward to when artificial turf comes to the World Cup 2018 in Russia. This time around, something about the games will be different. For the first time ever, the event will be played on a mix of real grass and artificial turf. This innovation is not currently available in the US, but it is something teams are looking forward to playing on. The product is supposed to offer a safer surface than real grass alone and help keep players from getting injured. What many athletes and fans have noticed, in the past with a real grass field, is that poor weather can affect the game. It can make the ground soggy, which leads to more falls. Artificial turf doesn’t have that problem. It stays safe in all weather. This makes it perfect for many types of sports. Soccer players benefit because they play a game that involves constant running. They need a surface that stays even no matter what. It will be interesting to see if this combination of live grass and fake grass holds up to tough play and tough weather. In the meantime, premier distributors in the US are sticking to what they know best which is 100% artificial grass. Watersavers Turf, SF Bay Area fake grass expert, can help you choose from their line of 60 varieties to outfit any size sports field from a backyard to a stadium. 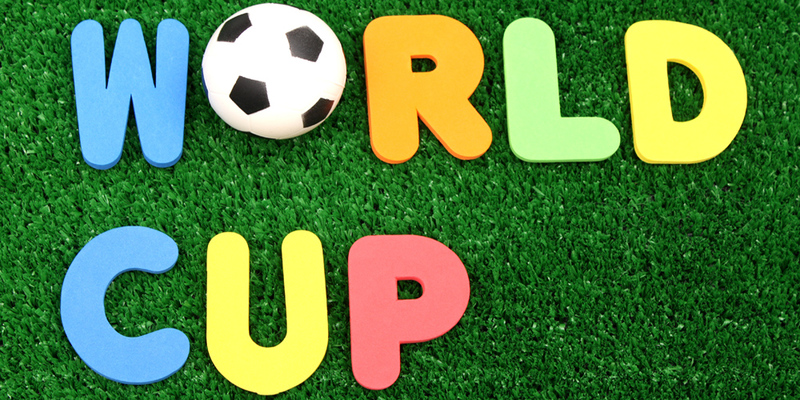 Artificial Turf at the World Cup – Why Do They Need It? Although this is the first-time artificial turf will be used at the World Cup, it’s far from the first time soccer teams have seen its benefits. Other major football clubs in Europe, such as Chelsea, have already been using synthetic turf products. Safety is just one reason they’ve made the switch. Another is upkeep. A grass field needs to be watered and can also take a lot of damage after a match. This is costly to repair. It also prevents teams from playing and getting to practice as often as they would like. The artificial turf lasts three times as long as grass. It also drains well. This keeps the field fit for play all year long. This means there is no down time and no mud to slip on. For their fake grass field, soccer teams turned to experts to create a surface that would meet their needs. Dutch engineers designed a “giant sewing machine on tracks” for the design. The machine “stitches” over 240 million exact lengths of mixed green synthetic yarn into the sub-surface at an 180mm depth. The firm claims that players love the bounce and roll of their product. It boasts greater traction which results in fewer injuries. The firm also won a two-year contract to maintain the field. “The ball hasn’t been leather for a long time and now the grass isn’t quite what it seems, but it actually improves the game,” said George Mullan, chief executive. Will Hybrid Turf Be a World Cup Game Changer? New tech is changing the way we live our lives. It’s also changing how we play sports. In fact, it always has. Another game, field hockey, didn’t become big in certain places until the 1970s when artificial sports turf made gameplay easier. Taking the leap to using a hybrid of it for such a major event like the World Cup is a giant step. This hybrid turf isn’t new to Euro soccer in by any means. A few of the first European pro clubs to lay this pitch was Turkish Besiktas at their Vodafone Arena and the Football Association’s (FA) St George’s Park HQ in Burton. It was also installed on the training ground in Chelsea Cobham and the Hull City’s Cottingham Center. It seems that Europe is taking on this hi-tech option. Perhaps it’s time for the States to follow suit. We’ll have to wait and see just how well this new product works when the 2018 World Cup airs. In the meantime, SF Bay Area supplier Watersavers Turf offers our high-tech line of sports field grass. To find out how much it would cost to add it to your sports venue, get in touch with us for a free estimate. We’re also on hand 24/7 to chat online, or by phone at 844-974-8873. To get free 1’ X 1’ samples, please stop by one of our SF Bay Area locations.